"Change your Number, Change your Life"
Have you ever made a bad decision and wondered how you got to that point? A decision that impacted your health, education finances, or your relationships? Don't worry, the Number Line can help you! 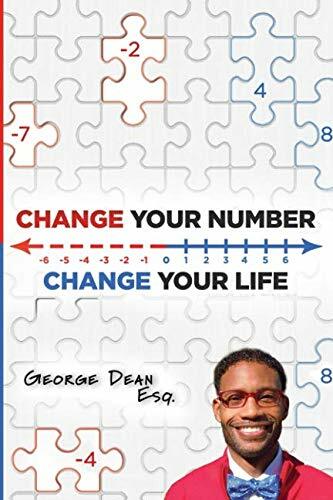 This guide is about changing your number in life and provides a simple tool, the Number Line, to empower people to make positive decisions that add value to their lives. Change your Number will help you identify where you are in life so you can see what it will take to get where you want to be. So what is your number and how can you use the Number Line to change your number and add in life? Join me in learning how to Change your Number to Change your Life! Every morning you wake up, think about Collecting Points. Add in Life.